32 weeks pregnant, HOLY COW. Where has the time gone? I feel like this pregnancy has flown by! 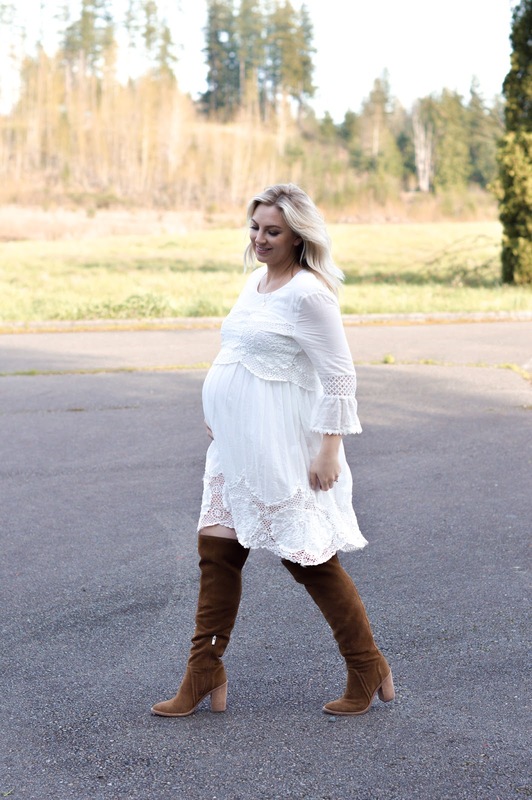 I have to say this has been my most easy going pregnancy but I know the last 6 weeks are always brutal for me so I am basically just gearing up for the home stretch and trying to find ways to stay motivated for another unmedicated natural home birth. Yeah you read that right haha. Dressing the bump is getting a little harder but it's also kind of fun to get creative with tying up short dresses into cute tops and wearing more dresses which I NEVER wear outside of pregnancy. As the weather starts to warm up a bit here in Seattle and we have been seeing the sun more I have been loving the opportunity to wear a dress and get out of jeans and leggings. It's not quite warm enough for sandals and I can't be caught dead in heels this pregnant so I paired this dress with my favorite OTK boots and then slipped on a denim jacket later in the evening. 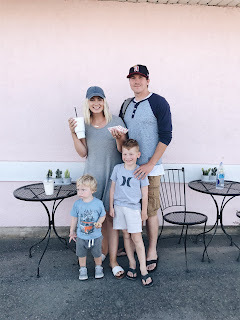 With Mother's Day around the corner I wanted to take a minute to talk gifts! I am sure most of you have an idea of what you want to get your mom but I am always struggling. I don't want to get my mom a gift card, she never uses them and as I get older I am more sentimental and want to find something that lasts. My favorite thing my husband has started to get me every year is jewelry from MadebyMary. It's an online shop ran out of Utah and has the daintiest and cutest necklaces and bracelets. I got my mom a "grammy" necklace for her birthday that matches my "mama" one and we both wear them nearly everyday! (I'm wearing mine in the photos above) It's so cute and easy and I feel like I can never have enough simple jewelry. They layer so well and these ones never tarnish or turn your skin green and I probably shouldn't admit this but I shower in mine and sleep in them all the time! With as much as I share about them I should be sponsored haha! 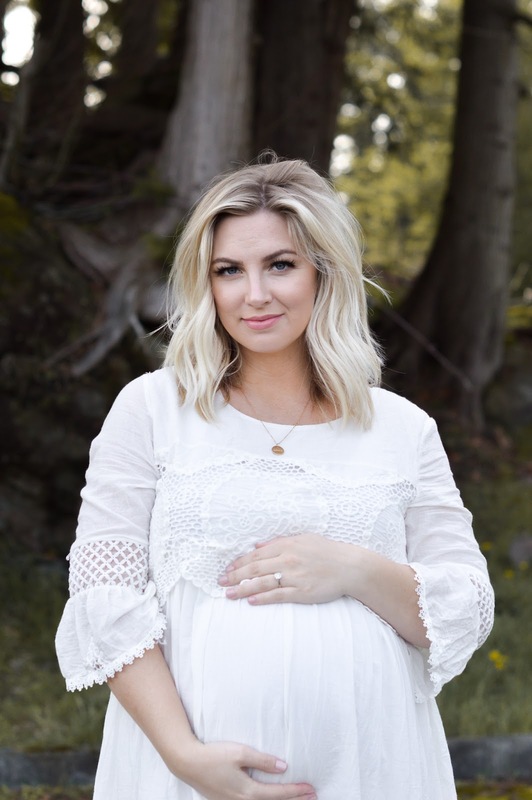 With that being said I rounded up a few gifts for mother's day and some super cute white dresses for Spring for you girls to shop!